Has an abstract quality that makes you wonder just what you are viewing. Good color and composition. Well done. 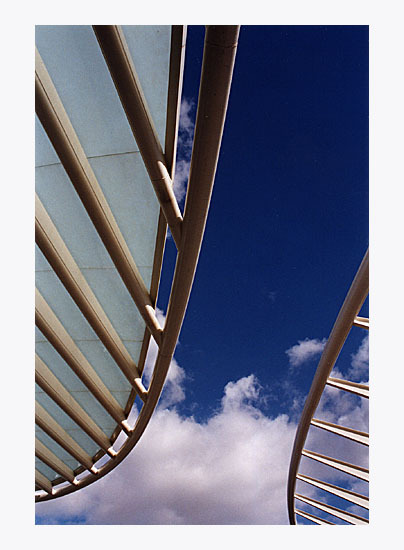 Excellent sky and modern architecture photo! Just great. Congratulations. Very well composed.Nice light and color. I think you`ve done a great job!!!!! Great point of view and perspective. Very nice lines and colors, Miguel! Great perspectiv, my Friend. A wonderful image. Nice photograph. My congratulations, Miguel Corte-Real. Great composition, very nice colors!